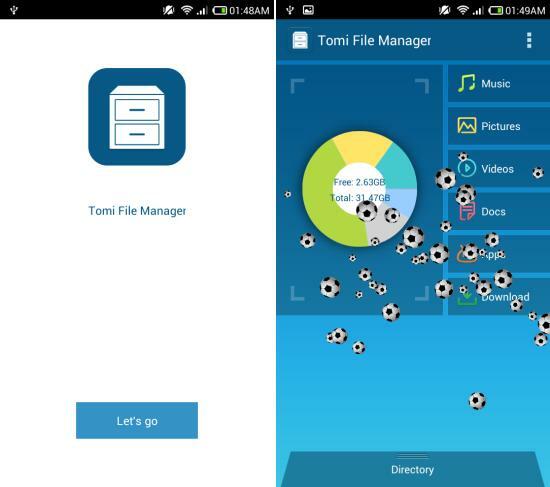 Tomi File Manager for Android is a free file manager for Androidwhich features a sleek and innovative interface. This free app shows you the details about the storage space on the front page and gives you direct and quick access to videos, pictures, music, apps, and documents. Tomi File Manager for Android features a nice and snappy interface. Also it has the ability to act as a Root file manager, which is an added bonus. You can get this free file manager from the link or QR code given at the end of this review. When launched for the first time, you will have the welcome interface in front of you. Tap on the ‘Let’s go’ button to start using the app and you will be presented with main interface as seen here; which seems to be celebrating the World Cup at this time. Below you can see the sleek and clean interface of the Tomi File Manager. It shows you the distribution of your storage as a pie chart along with quick access to music, pictures, videos, Documents, apps, and downloads. Tapping on the quick access shows you an interface using which you can quickly interact with things without digging or searching for them in the storage space. Below you can see the interface for pictures and music. Now let’s explore the main feature of the app. Tapping on the ‘Directory’ button at the very bottom of the interface will bring up the main file explorer. It gives you pretty standard interface along with controls on the bottom. 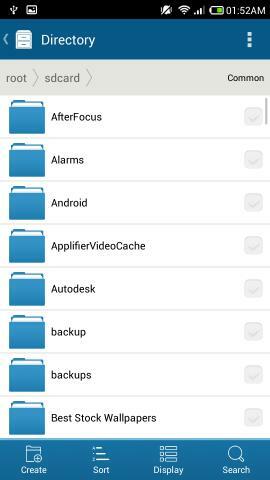 If you like to access all the options in Tomi File Manager for Android then tap and hold a file and you will be presented the options. 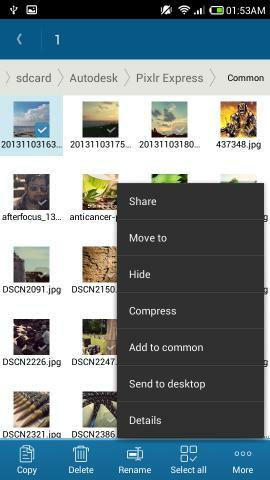 It gives options to move file to another folder, compress the file, hide the file, share file, etc. 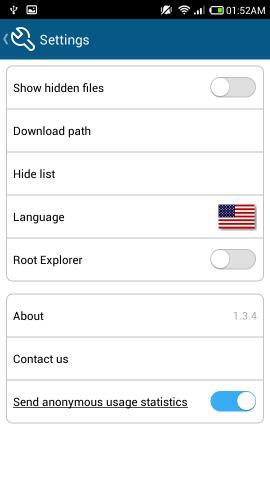 To enable the root explorer function simply go the settings and toggle the root explorer option. Tomi File Manager for Android has a clean, simple and sleek interface and is really handy while using it. This is a pretty neat file explorer for anyone does not want to be bombarded with options which they will never use. 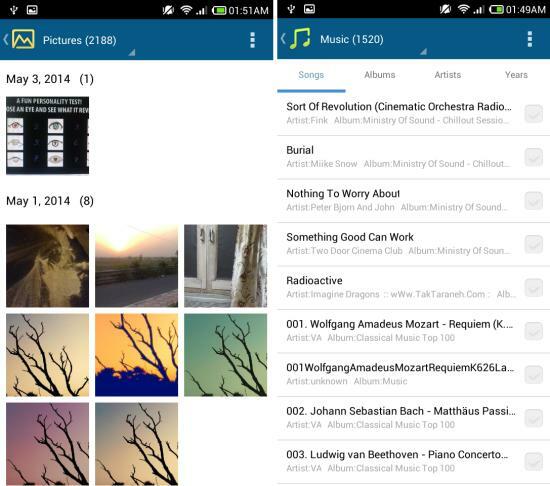 Also check out 5 Free File Manager Apps for Android. 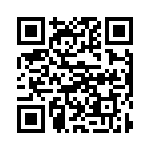 Get Tomi File Manager for Android or scan the QR code below. Tomi File Manager supports Archive Manager Now!